Join me on a tour of Fort Hill, the home of John C Calhoun who served as the 7th vice president. Even more so than many of Harrison and Clay’s other contemporaries, Calhoun leaves a difficult legacy for students of history to consider as his concepts of nullification, states’ rights, and slavery as a ‘positive good’ were key justifications to lead the Southern states to secede and form the Confederacy just over a decade after Calhoun’s death, and Calhoun’s ideas and the events that they inspired continue to have an impact on the present day. 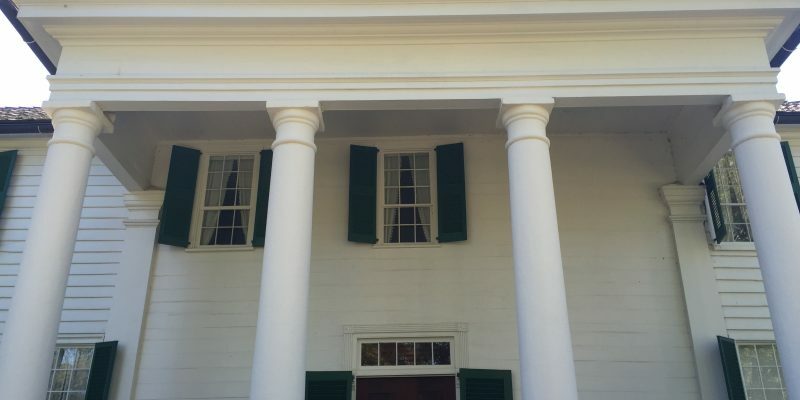 The historic site provides great insight into Calhoun’s domestic situation and about the enslaved people whose lives Calhoun held in his hands, both as a slave owner and as a national leader. “Fort Hill Home of John C. Calhoun and Thomas Green Clemson.” Clemson University, Department of Historic Properties. Pamphlet. “Fort Hill Plantation c. 1803.” Clemson University, Department of Historic Properties. Pamphlet. “The African-American Experience at Fort Hill.” Clemson University, Department of Historic Properties. Pamphlet.